Toyota Kirloskar Motor [TKM] reiterated its safety crusaders mission by curating a special road safety awareness program for children here in the capital city today. 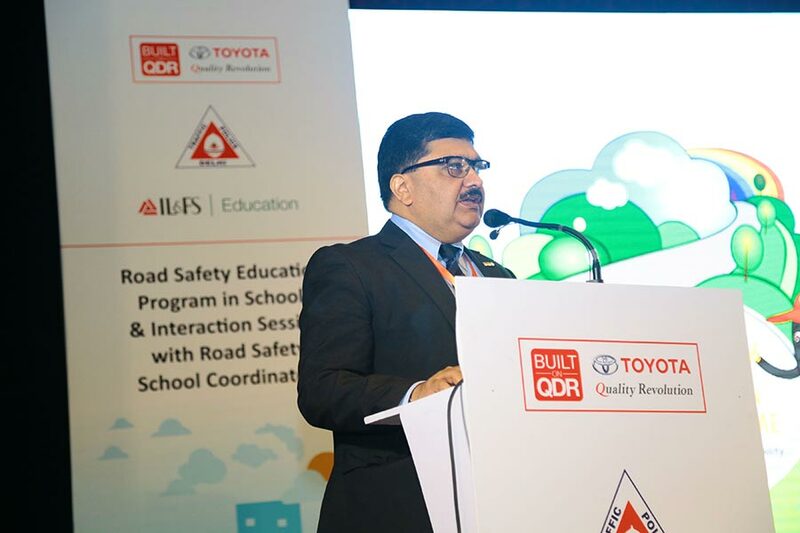 This initiative in association with Delhi Traffic Police and IL&FS Education and Technology Services Limited, is a part of Toyota Safety Education Program (TSEP) which is aimed at improving the road safety crisis in the country by inculcating safe road behavior in children and youth. This pan India program strongly advocates the need to start training young and nurture minds to bring out a positive behavioral change eventually towards making Indian roads safer. Organized at Indian Institute of Technology – Delhi, over 250 school children from Delhi, Mumbai and Bangalore along with a wide array of stakeholders, including the World Health Organization (WHO), National Council of Educational Research and Training (NCERT), Delhi Traffic Police, Hospitals, NGOs and others played an active part towards developing responsible road users. The program also saw a series of educative and interactive sessions like quiz programs, demonstrations and skit competitions which educates on citizen’s rights on the city road and the subject of road safety from the perspectives of the children with an aim to instill such safety routines as their daily habits. This also provides a good platform to outreach the road safety awareness to masses at large. TKM has developed the TSEP module emphasizing on the road safety aspects, while incorporating the feedback received from the schools. Also, this program entirely focuses on sustainability and bringing about an attitudinal change through multiple intervention with different age group based module [to cover Grade 6 to Grade 9]. This module aims to encourage the school children to demonstrate the project based on the learnings of TSEP program. India loses about 3% GDP each year due to road mishaps. Beyond losing valuable lives, the social and economic impact caused by every road accident is sizeable to affect our country’s productivity. At Toyota, SAFETY dominates our mission in the country, and we have been zealously implementing interventions to improve the road safety profile of our country since 2005. Most of the road accident victims are youths and the ever increasing vehicles population on our roads highlight the urgency and importance for taking up this cause. It is incredibly important to get children up to speed on safety, as they shall be the safety ambassadors and influencers of the society going forward. Today, any effort, big or small, taken towards improving driving habits and arriving at solutions that will make our city roads more safe and secure can go a long way. We appreciate the concerted efforts and leadership taken by Toyota Kirloskar Motor and other representatives at all levels who share the goal of Delhi Traffic Police Department of making safer roads for the next generation. 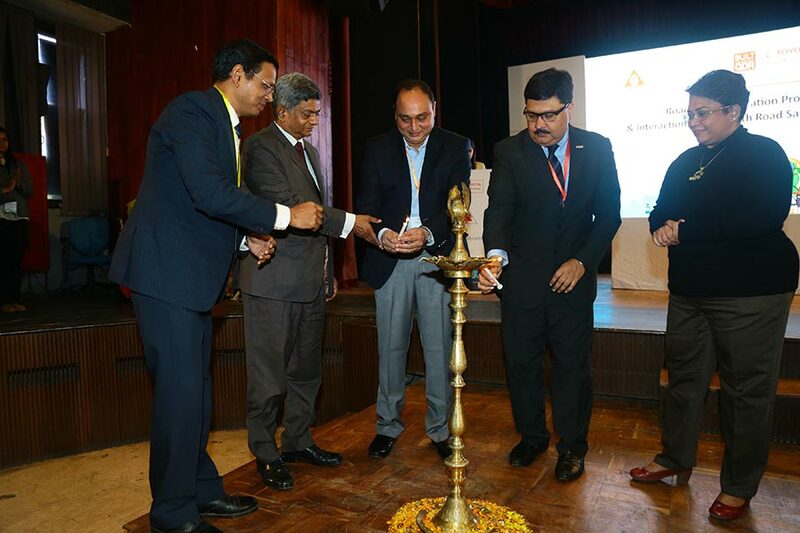 In pursuance of its deep rooted safety mission, Toyota Kirloskar Motor has been consistently engaged in Road Safety initiatives since 2005 through various pan India campaigns. The all encompassed safety initiatives under CSR include campaigns, targets even the children to start the awareness at an early age. Toyota Safety Education Program (TSEP) is yet another social contribution initiative of Toyota Kirloskar Motor. Launched in 2007, TSEP is an interactive learning program targeting school children between the age group of 10-14 years. The success of the program and favorable response received from the children, teachers and parents propelled TSEP to extend its activities on a national scale. So far, TSEP has covered more than 7,00,000 school children across Delhi, Mumbai, Chennai, Kolkata, Bangalore and Hyderabad. Needless to mention, this year marks 10 years of successful implementation of TSEP parting impactful road safety training to more than 7 lakh school children across India, under this Toyota’s safety initiative. Launched in line with the company’s vision of “Safest car with safest driver”, TKM set-up Toyota Driving School across India in cities like Kochi, Lucknow, Hyderabad, Chennai [2 driving schools], Kolkata, Faridabad, Vijayawada and Surat. With the launch of Toyota Driving School across India, the company aims to bring down the rising number of road accidents caused majorly due to human error. The training module will integrate technical expertise along with enhancing behavioral skills to create awareness about safety nationwide. Toyota Kirloskar Motor has also conducted Driver Training & Health Check-up programs in airport across New Delhi, Bangalore and Hyderabad with participation from over 4,000 drivers educating them on safe driving practices and importance of good health & wellbeing. During this campaign 700 drivers were diagnosed with vision problems and were provided free spectacles. Further, the company has also rolled out safety model schools, as part of Team Toyota Activity (TTA)” – a project aimed at sensitizing a larger community through school children, thus expanding its reach in the society on road safety. The model has been successfully implemented in Kochi, Delhi, Varanasi and Hissar.